Firefox 4 compatible update, thanks for all your advice and comments on the technical details. Remarks: Please be reminded to show the "Add-on bar" (Ctrl + / ) to see the weather alerts! Continue reading "Hong Kong Weather Warnings 0.5"
Also working on a Firefox 4 compatible version, hopefully can finish before its official launch . Continue reading "Hong Kong Weather Warnings 0.4.7"
Bug fix (again) version to handle the new text pattern of the HKO pages. Plus showing the start time of individual warning in the popup. Available for install at AMO or here . Bug fix version to handle the new text pattern of the HKO pages. 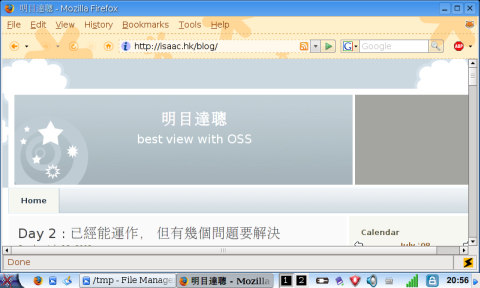 更新了 Firefox extension "Hong Kong Weather Warning" . 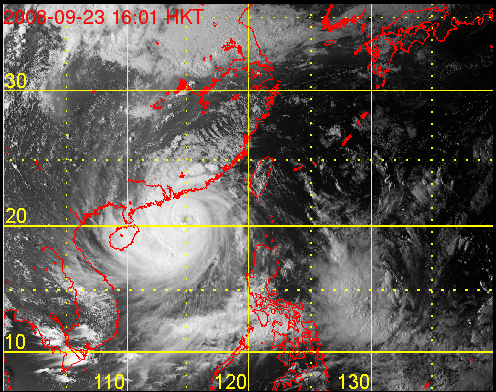 Today, received the authorization from HKO on reproduce/re-disseminate their weather information. In addition, HKO also provided a detailed documentation on how their information is organized in the HTML files, such that programmer can collect the information accurately. Those information is very useful, and this will lead to some minor enhancements to the HKWW. Continue reading "Obtained the authorization from HKO"
Although it is still marked as experimental, HKWW is now available for installation at AMO. Continue reading "Day 3 : 經已完成 並進入測試"
Continue reading "Day 2 : 已經能運作， 但有幾個問題要解決"
Continue reading "Day 1 ： 不消一天已初步成形"
Continue reading "Day 0 : Hong Kong Weather Warnings"